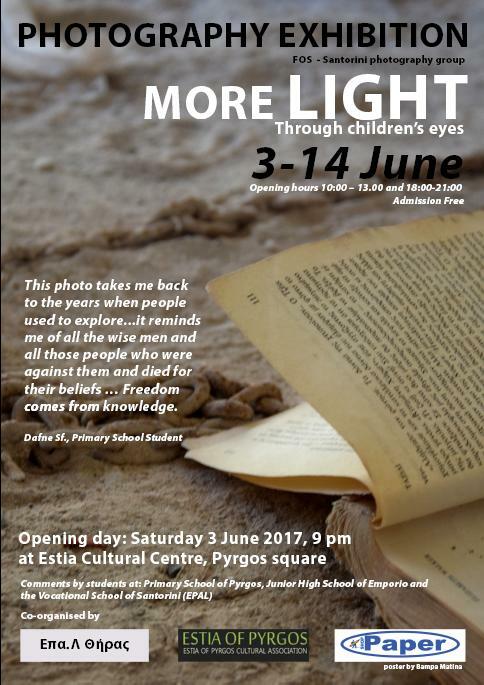 The photo exhibition "Light More Light - Through the eyes of children" runs for a few more days until the 14th June. It is a photo exhibition enriched with children’s comments and feelings when they see a photo. The exhibition is held in the Estia exhibition center, in the main square of Pyrgos, and is open from 10.00 to 13.00 and from 18.00 to 21.00. Free entrance.